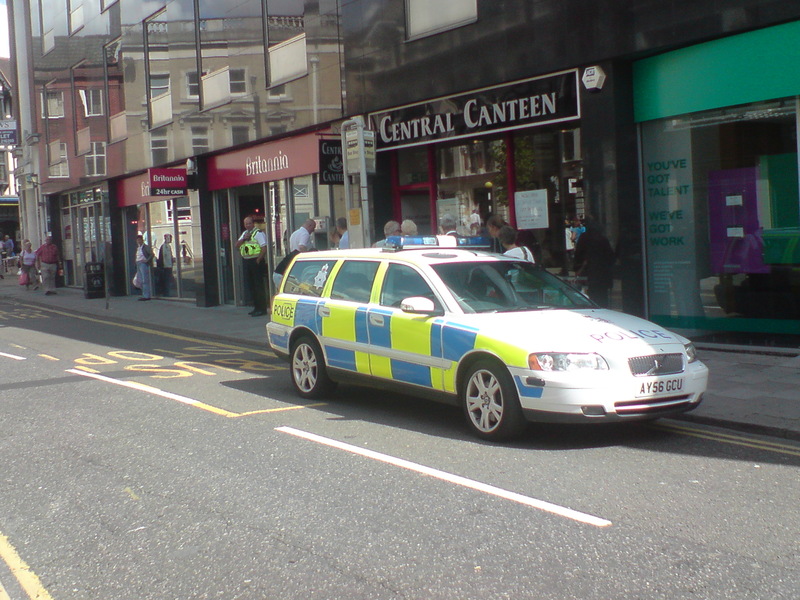 Here is a video clip that appears to show a policeman parking on the pavement in Liverpool to go and buy something from a local shop which is possibly his lunch. If the very people who are responsible for enforcing these laws can’t abide by them then how do they expect others to? Luckily his boss is taking it seriously and the incident will be investigated. Jimmy Justice over in New York makes it his job it bring attention to officials who break the law. This is a pretty robust approach to citizen activism! Closer to home I can see no particularly good reason for this police car to be on the pavement in my home town when there is plenty of room on the road. 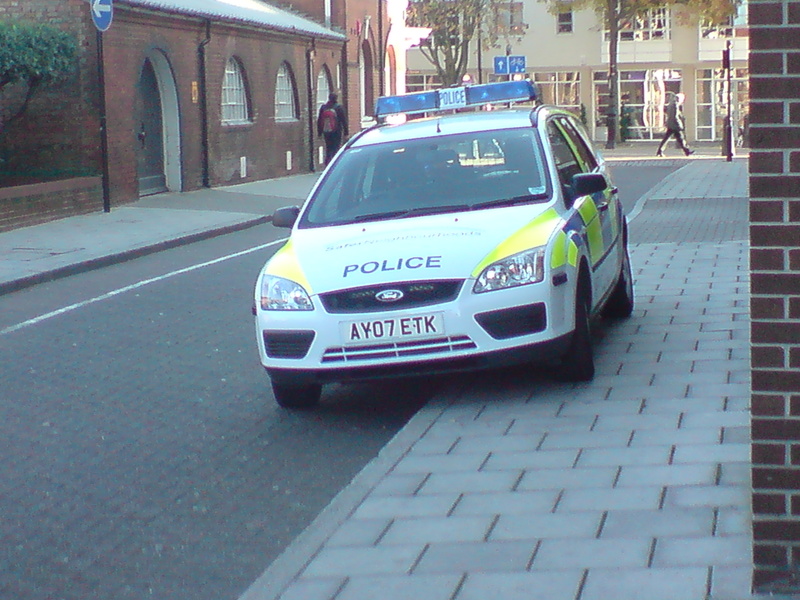 A police car showing how not to do it! And here is another incident where the policeman, who is stood in the building society doorway, has parked half in a bus-stop for no apparent operational reason. A police car overhanging a bus stop causing difficulty for the buses. Clearly we need to get the police on side on this one for starters! ← Are vehicles allowed to park on the pavement? How do I join this organisation ? It’s a blog rather than an organisation. You can contribute on Facebook or join another organisation that campaigns, such as Living Streets or Guide Dogs uk.